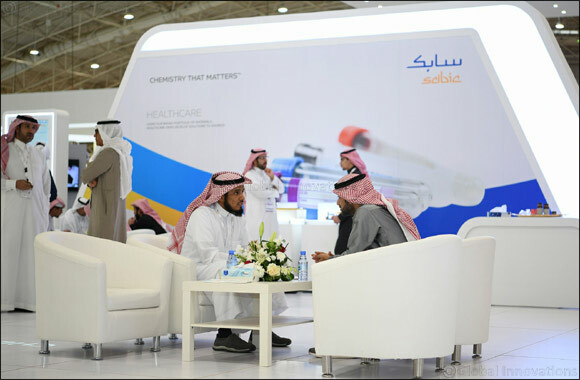 Saudi Arabia, January 07, 2019- Under the support of Diamond Sponsor SABIC, the 16th Saudi Plastics and Petrochemicals Exhibition will convene local, regional, and international industry leaders to discuss the latest technologies, services, and innovations in the plastics and petrochemicals sectors that are considered major economic contributors in Saudi Arabia. Taking place from January 27 to 30, 2019, the event backed by leading companies who will highlight the role of the two industries in the government’s ongoing economic diversification efforts. The Saudi Plastics and Petrochemicals Exhibition 2019, which will take place at the Jeddah Center Forums and Events, will focus on sustainability and protection of the natural resources for the sake of the future generation. Regional and international experts, decision makers, and pioneers will take a closer look at investment opportunities in Saudi Arabia’s petrochemical sector, one of the country’s main economic pillars, during the event. The Kingdom has the largest share of the petrochemical industry in the Arab Gulf region, accounting for about 67 per cent of the total Gulf production. Set to gather top companies looking to build a strong market presence in Saudi Arabia, “the 16th International Trade Exhibition for Printing and Packaging Technologies” will showcase the latest industry innovations related to packaging techniques of consumer goods; design; manufacturing services; paper production equipment; and food packaging. The exhibition is set to attract remarkable attention following the success of the 2018 edition of the event, which saw the participation of more than 520 exhibitors from 25 countries and host 10 international pavilions, attracting over 16,000 visitors.